An Explosion of World Dance and Music, our 2012 Lethbridge show! 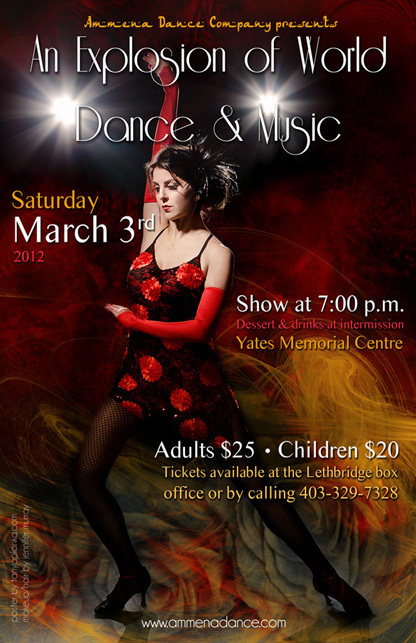 Ammena Dance Company’s “An Explosion of World Dance and Music” 2012 will be taking place on Saturday March 3rd at the Yates Memorial Centre in Lethbridge. This year’s show is just as diverse as the last, featuring bellydance, samba, Bollywood, burlesque, and an awesome tango piece. For once I am doing a proper bellydance as my solo this year… but that’s just too boring, so I picked some Lady Gaga to do it to! Tickets will be on sale soon and they always sell out before the night of the show, so make sure you pick yours up early! Please note: As usual, due to my heavy involvement in this show, I will be taking very limited sessions between now and mid-March. If you would like to book a session in that time, please contact me at info@tanyaplonka.com for availability, or I can schedule you in for April and beyond. I am still able to meet up for any wedding consults during this time, so don’t hesitate to ask if you would like to find out more about wedding collections for 2012! 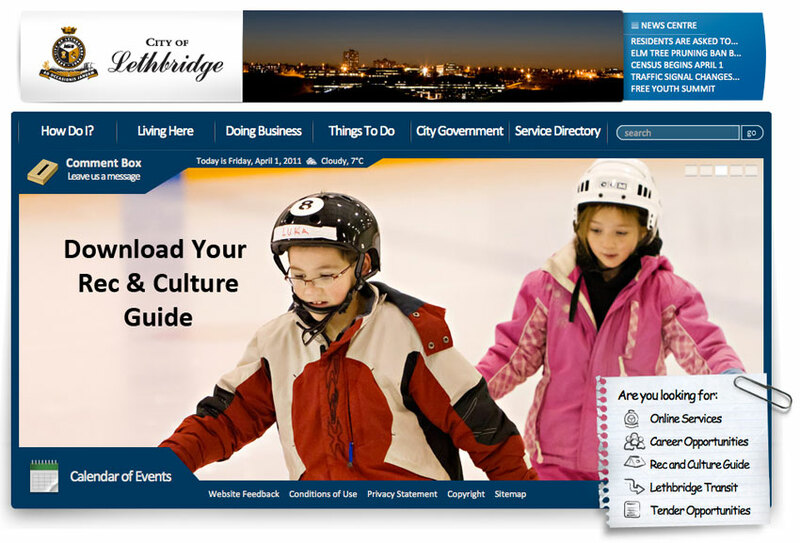 City of Lethbridge New Website Photography! I’m so excited to finally post about this! A few months ago the City of Lethbridge contacted me to work together over the next year building an image collection they could have for both internal use and for their brand new website. Their website finally launched this week, and it was awesome to see my photos on the front page! I have a number of images throughout the site, but since this went live only a quarter of the way into the project, there will be many more to come. If I ever have a moment, I’ll try to post a few of my favorite shots from the project as they come up. Tickets aren’t on sale yet, but will be available at the Yates Box Office soon. Woo hoo, I’ve finally redesigned www.tanyaplonka.com! Photos more recent than 2008! It was so hard narrowing down photos for the galleries, and was painful to make some of the cuts I did. However, I’m so happy with the final result. I hope you like it! WA Environmental Services was in terrible need of a new website; their old one hadn’t been updated since 2002, and they were too embarrassed to provide their web address to clients or use it in advertising! Timothy and Beverly Waters entrusted me to give their website a new feel. We included a blog section, Ask the Soil Doctor (Tim’s moniker), so if you have any questions about environmental site assessments or cleanups, drop him a line! 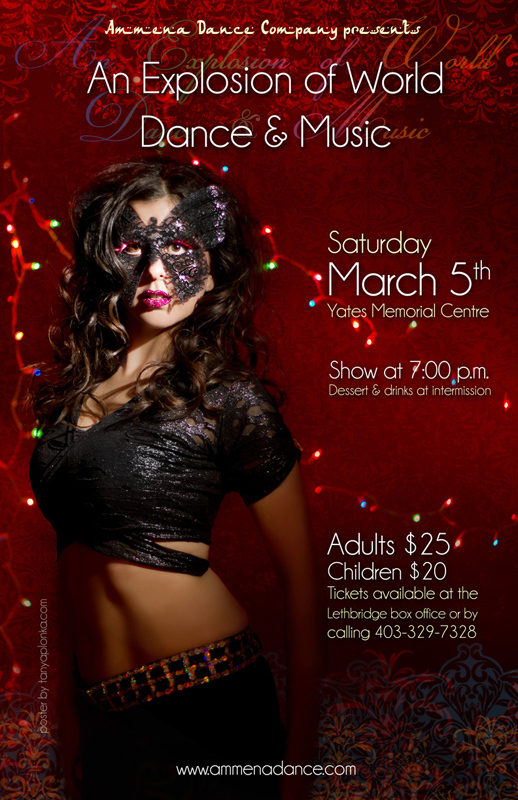 The next big Bellydance show in Lethbridge! Ammena Dance Company is once again putting on An Explosion of World Dance and Music (2010 edition! ), held at the Yates Memorial Centre in Lethbridge on Saturday March 6. Lethbridge is really a hot bed for multi-cultural events, and this year our show is no exception. In addition to multiple Bellydance pieces, we will also feature Bollywood, Merengue, Ukrainian, Hungarian, and Bhangra (which has been co-choreographed by a legitmate Punjabi Bhangra dancer! ), as well as musical performances by local musicians. Tickets aren’t on sale quite yet, but will be soon at the Yates Ticket Centre. I did the poster design, and the photo is once again by Jan Tajcnar, who photographed our big show last year! Please note: Due to my heavy involvement in this show, I will be taking very limited sessions between now and March 15th. If you would like to book a session in that time, please contact me at info @ tanyaplonka.com for availability, or I can schedule you in for March. I am still able to meet up for any wedding consults during this time, so don’t hesitate to ask if you would like to find out more about wedding packages for 2010!